Paul Monk initiated a valuable debate on these pages about the role of risk in defence planning. As it happens, I’ve been thinking along similar lines for sometime myself. So here’s my take on the role of risk in defence planning. Just to be clear, I’m not talking about ‘risk management’ in the sense used in the 2009 White Paper. That was about hedging against changes in the strategic environment through the maintenance of a robust capability base coupled with regular reassessments. Sensible as that is, it’s at best a fragment of true risk-based approach to defence planning. My agenda is more ambitious; I contend that defence and strategic planning begins and ends with the management of strategic risk. 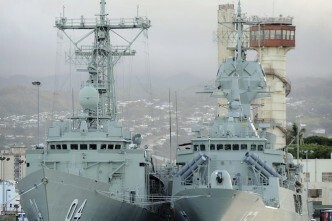 Note that a risk-based approach to defence planning implicitly assumes that a country’s military posture is defensive rather than aggressive—which is undoubtedly the case for Australia. Note also, that there is nothing in my definition to preclude non-military remedies. 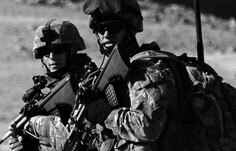 It will often be more cost effective to prevent a problem from emerging through diplomacy or foreign aid than to threaten or employ armed force. Identification of the risks in the future strategic environment. Plans for the development of military capability. Allocation of the financial and human resources entailed in those plans. Of course, recent White Papers have done much more than this; they’ve also presented a complex analytic framework involving abstractions such as strategic interests, objectives and tasks, the details of which have evolved over time. But while these ideas have proven useful in past iterations of Australian defence policy, they are constructed entities (i.e. someone made them up) that reflect particular conceptual approaches to defence planning. To be honest, I find such approaches somewhat confusing; by the time I’ve worked my way through the successive steps I’ve lost track of what’s going on. I doubt that I’m alone in this regard; perhaps that’s why no other country employs such an intricate and explicitly logical-deductive approach to its defence planning. 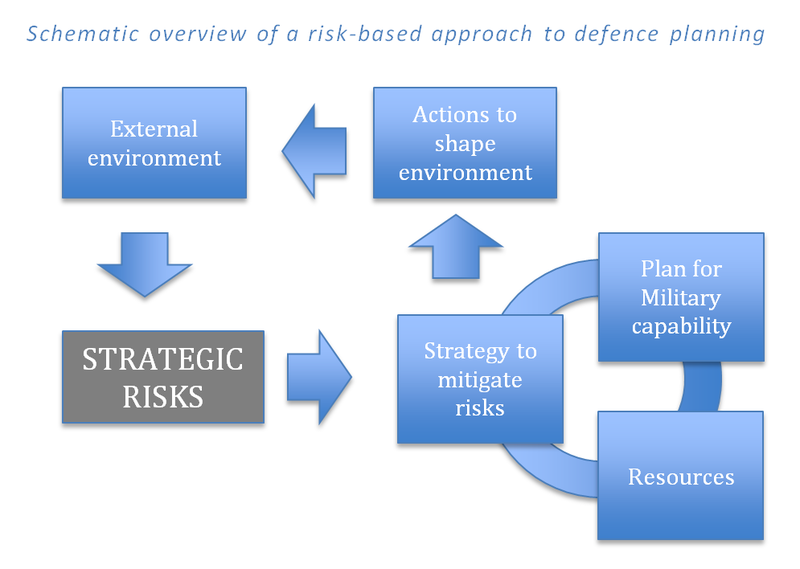 A simplified depiction of the key elements of a risk-based approach to defence planning appears below (click to enlarge). I’ve connected three of the elements—strategy, capability and resources—by an unbroken loop. This is my attempt to reflect the strong interdependence between these three cornerstones of defence planning (an interdependence that’s more often honoured in the breach than in adherence). At the heart of the scheme is a strategy to mitigate strategic risks. 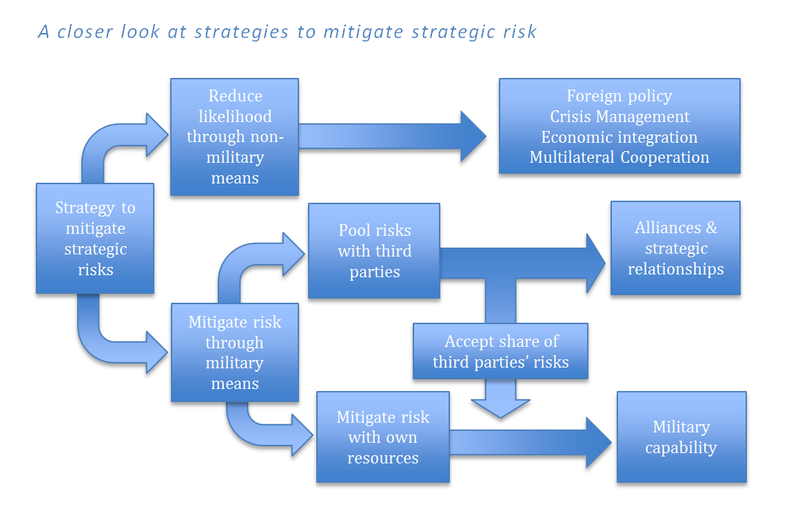 As depicted in the diagram below (click to enlarge), strategic risks can be dealt with in two ways. First, the likelihood of adverse events can be reduced by shaping the international environment through non-military means. Second and consistent with my definition of strategic risk, military capability (ours and that of our allies and partners) can be used to reduce the likelihood and/or reduce the consequences of adverse events. The former can arise through both military deterrence and what Rod Lyon calls ‘gravitational’ effects. First, at a fundamental level defence planning really is about managing strategic risk. And while intermediate constructs such as ‘interests’ can often be useful, we should not lose sight of the underlying game. The danger with intermediate constructs is that they can become ends in themselves. Second, a risk-based approach encourages us to think explicitly in terms of costs and benefits. Every dollar spent on defence should be in anticipation of a future benefit in terms of the reduced likelihood and/or mitigated consequence of an adverse strategic event. If we are rational about our defence spending, the benefits will outweigh the costs (and also exceed the benefits from alternative uses of the resources).